During the catastrophic Alberta wildfires in 2016, Fort McMurray fire chief Darby Allen and his team of first responders somehow guided 88,000 residents of Fort McMurray to safety, the largest evacuation in Canadian history. This was truly an amazing feat, given the trail of devastation the fires left behind. The blaze set a record for the most destructive catastrophe event in the country’s history – approximately 60,000 insurance claims totaling a loss of $3.7 billion. Now retired, Allen has been touring insurance conferences across the country in 2018, telling brokers, risk managers and insurers alike about what it was like on the scene. In his speech to insurance brokers in Ontario, Allen briefly noted one poignant moment he witnessed when residents were cleared to return to their destroyed homes. He watched a claims professional ask a resident for receipts to prove the value of the items lost in the fire. On its face, Allen found the question absurd. “Their home was gone,” he said. 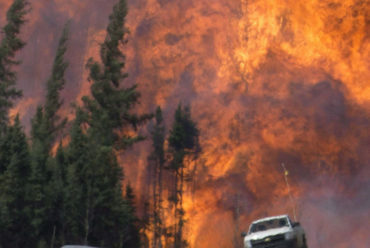 The outcome in Fort McMurray was miraculous, given that the only exit point for the evacuation was engulfed in flames. However, not all catastrophic events will end this way, as the wildfires in California tragically demonstrated. As reported by Reuters on Dec. 4, the so-called Camp Fire, which started Nov. 8, has all but obliterated the mountain community of Paradise, home to more than 27,000 people about 175 miles north of San Francisco. The fire was fully contained Nov. 25, and the death toll has been revised to 85, based on ongoing DNA analysis of bones and bone fragments. Insured catastrophe losses in Canada cost insurers roughly $1.2 billion in 2017. They included all types of weather-related perils: fire, ice, wind and water. “Mother Nature has not been kind to the industry over the last few years,” says Anita Paulic, director of Western Canada operations for ClaimsPro. “We have definitely seen an increase in extreme weather patterns. There have been numerous water events, but fire is so devastating and severe, it receives a lot of attention.” So what, if anything, have adjusters learned from these catastrophic fires to help handle such claims events in the future, particularly when it comes to handling first notice of loss? 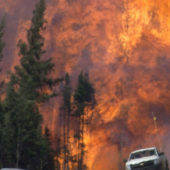 Eso points to a specific instance during the Fort McMurray wildfire. “There was a lot of food, frozen or unfrozen, in freezers that sat for a month inside these houses while we [claims adjusters] waited to get access to the town. They were sealed and taped and disposed of without being opened; in most cases, because the risk of contamination of the property was so high,” he says. According to Eso, insurance companies were very good at generating a reasonable average number of groceries that a person would have had in their fridge or freezer. Insurers were prepared to pay their policyholders without any proof of receipts, he says, no questions asked. The high-wire balancing act for an insurance company during these situations is always to treat people fairly while at the same time not opening the door to fraudulent claims. Indeed. Each year it costs Canada an estimated $2 billion. And the crime comes with very serious consequences, including jail, fines, and non-payment of the false claims. For adjusters, paperwork is a concern, too, simply because so much of it arises from a catastrophe. During the Windsor, Ont. floods, says Barry McNeil, national CAT [catastrophe] manager with Sedgwick Canada, many departments within the adjusting firm – including support staff and the analytics team – provided necessary backup. “Adjusters deal with large volumes of claims over a short period of time,” he says. “They handwrite reports, get them to support staff, who then type them up and then send them back to the adjusters for proofreading to get out to the insurance companies,” he says. Since the floods, Cunningham Lindsey has pre-populated its standard preliminary reports so that adjusters can fill out the forms themselves and either eliminate or add words particular to each claim. This allows insurance companies to get the information in a much shorter period. That was an eye-opener for McNeil. In subsequent CATs, he has spent hours ensuring that every adjuster gets a hotel room. He’ll contact the corporate travel agency to block off a number of rooms. That’s a simple, and yet incredibly important thing, he observes. Adjusters need to complete their scene investigations; they can’t do their work if they don’t have desks to work on within the vicinity of the catastrophe. For a total loss house fire, she says, she matches the losses to the adjuster’s skill set. “From our end, it is a true investigation, but with a very personal attachment to it.” The adjuster must be sensitive to the fact that this is a very emotional time for the customer. For Eso, preparedness improves the claims experience not only for the insured, but also for the P&C industry. “It’s easy to have conversations [during a CAT event] and give go-aheads for people to start doing things, and then six months later second-guess those conversations, as opposed to having the conversations before the catastrophe even occurs,” he says.